Will the deadly Groom Killer finally be caught? On the run since her ex-fiancé’s murder, Demi Colton risks everything to protect herself—and her newborn son. 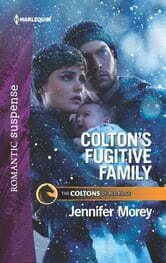 But now Demi’s heart comes under fire when Lucas Gage, a fellow bounty hunter, steps in to prove her innocence. Can they snare the real culprit while outmaneuvering death at every turn?